Oknytt from Nemoria Entertainment is a old school-styled adventure game steeped in Swedish folklore. You play as a small unnamed creature who wakes to find itself inhabiting an unfamiliar world. By helping it solve a few puzzles and explore its surroundings, you and the small creature will slowly gain an understanding of its place in life. It's a beautiful, touching tale that's told at a gentle pace by a narrator who will make you feel like you're listening to a story sitting around the campfire with nowhere to go and nothing to do but become entranced. Click anywhere on the screen to move the small creature around. If something of interest catches your eye, click and hold to bring up a menu with three options: talk, interact, and lore. 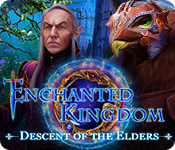 The former two do precisely what you would expect, while the latter serves as Oknytt's version of "look", adding a small piece of lore to the in-game journal. If you're in a hurry you can double click exit points to move there without waiting on the small creature's gentle lumbering gait to carry it to the other side of the screen. To work with inventory items, simply click on the crate in the corner of the screen (or right click anywhere else). At the bottom of the screen are four runes, each representing a different element. Click on a rune to activate its power. If there's something on the screen that can be affected by these elements, you'll notice things change right away. The runes are incorporated into a few of the game's puzzles in some slightly unexpected (but still logical) ways. So, for example, if you see hot coals that just won't light, it's a fairly safe bet that activating the fire rune will get the job done. If you're ever stuck, think about the runes and how they might help! Analysis: It's easy to understand what kind of game Oknytt is — a retro-style adventure. Understanding what makes it special is a different story. The game is heavily focused on its characters and environments, not so much puzzles or creative gameplay. It's like a playable piece of folklore, complete with mischievous miscreants, quietly observant beings, and benevolent magical spirits. Centering the story on a strange creature who knows nothing of the world it inhabits makes you immediately feel for its simple plight. Each puzzle you solve pushes you both in the direction of discovery. 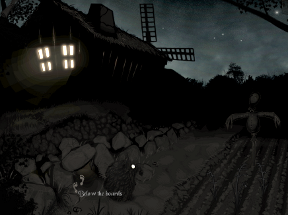 Artwork, story and setting aside, Oknytt sticks pretty close to the basic adventure gaming formula. Puzzles are largely inventory based and require you to do a lot of walking and a bit of trial and error. The elemental runes add a nice sort of twist, but they aren't as extensively used as they could have been, making them secondary puzzle pieces at best. It's just as well, though, as the interface does have some speed issues, and using the runes takes a few moments for the game to stop and think. Oknytt is an enchanting and very lovable game. It tells a good story and incorporates unique pieces of folklore that bring simple characters and situations to life. If you don't mind a slow paced adventure and are ready to settle in and absorb a game's environment, Oknytt will keep you happy all evening long. Pick up the BOWL on the ground in front of the Mound of Stones. The DRIED FLOWERS will also be added to your inventory. Walk downwards between the two fence posts to go to the Field. Examine the Field and select "Talk". The small creature says it would like to make the fields grow. Click the Water Rune at the bottom of the screen to summon rain, which will cause the seeds in the field to sprout. Next, select the Earth Rune to hurry the plants' growth into Stalks. Take the OAT SEEDS from the fully grown Stalks in the field. Use the Fire Rune to light up the passage at the bottom of the short rock wall, then click the hole to go Below the Boards. Walk to the left side of the area to see a Hustomte sitting in the corner. Speak with him and he'll ask you to find something for him to eat. Take the NEEDLE from the middle of the rug on the ground. Search inside the Broken Crate to find a BALL OF YARN. Open your inventory and use the BALL OF YARN with the NEEDLE to combine the two items. Pick up the EMPTY KETTLE beside the pottery at the rear right corner of the area. Return to the Mound of Stones. Use the EMPTY KETTLE on the Spring to fill it with cold water. Move left to go to the �lv Stone. Search inside the �lv Stone to discover an IRON COIN. Take the SHARP PIECE OF BONE from the skeleton to the left of the �lv Stone. Pick up the GRINDING STONE on the ground at the far right side of the area, near the way to the Mound of Stones. Use the GRINDING STONE with the OAT SEEDS from your inventory to receive the OATS. Put the OATS in the WOODEN BOWL to combine them into a BOWL OF OATS. Walk towards the lower left to go to the Tool Shed. Click the Water Rune to stop the rain. Put the KETTLE FILLED WITH COLD WATER over the Burnt Out Fireplace. Select the Fire Rune to heat the fire, then take the KETTLE FILLED WITH HOT WATER. Pour the hot water from the kettle into the BOWL OF OATS to make OATMEAL. Remove the BROKEN SHAFT from the Tool Rack beside the shed. Try to grab the Piece of Cloth on the ground in front of the shed. The G�rdstomte will demand something in exchange for the cloth. Move left to go to the Field. Examine the scarecrow to take a closer look. Cut the stitched thread around the top of the scarecrow's head with the SHARP PIECE OF BONE to receive a PIECE OF CLOTH (1/2). Take some of the exposed HAY from the section of the scarecrow you removed. Zoom out, then return to the Tool Shed. 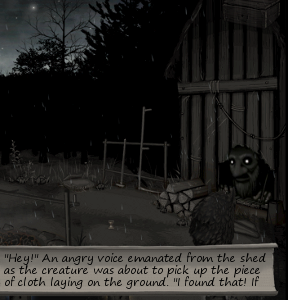 Place the HAY from the scarecrow onto the Piece of Cloth on the ground in front of the shed. In exchange for the hay, the G�rdstomte will give you the PIECE OF CLOTH (2/2). Open your inventory and combine the two PIECES OF CLOTH. Use the BALL OF YARN WITH NEEDLE on the PIECES OF CLOTH to sew a HAT. Walk left to the Field, then use the tunnel to go Below the Boards. Give the HAT to the Hustomte to receive a HAMMER HEAD. Next, give him the bowl of OATMEAL. In exchange, you'll receive a WHETSTONE and a SILVER HAIR. Return to the Tool Shed. Speak with the G�rdstomte to learn that's having difficulty managing the farm with only old, worn out tools. Give him the WHETSTONE you received from the Hustomte. As a reward, he will give you a HAMMER SHAFT. Combine the HAMMER SHAFT with the HAMMER HEAD in your inventory into a complete HAMMER. Use the HAMMER on the NEEDLE from the rug below the boards to make it a BENT NEEDLE. Add the hook-shaped BENT NEEDLE to the SILVER HAIR, making a the NEEDLE ON A STRING. Lastly, use the NEEDLE ON A STRING with the BROKEN SHAFT to create a FISHING ROD. Go back to the Mound of Stones. Use the FISHING ROD on the Spring to fish a GOLD BRACELET out of the water. Walk left to go to the �lv Stone. Examine the "Lore" of the �lv Stone to learn that the stone is used for presenting an offering to the �lvor in exchange for good fortune. Place the GOLD BRACELET into the hole at the center of the �lv Stone. Speak with the �lv Queen who appears on top of the stone. Activate the Fire Rune at the bottom of the screen to light the Sacrificial Stone and burn the stick on top of it. Pick up the CHARRED STICK from the ash on the stone. Walk right to go to the Lake Shore. Use the Water Rune to reveal a N�cken in the lake. Speak with him to learn that he wants power like the �lvor. Pick up the FISHING NET at the edge of the waters. Take the BULRUSH PODS from the top of the plant stalks on the right side of the lake shore. Go back to the Sacrificial Stone. Place the BULRUSH PODS on top of the Sacrificial Stone. Click the Fire Rune to burn the pods, creating a cloud of smoke. Select the Air Rune next to reveal the �lvor who will be irritated by the smoke. Pick up the �LV DUST that one of them leaves on the ground. Return to the Lake Shore. Give the �LV DUST to the N�cken. In return, you will receive an EMPTY BOTTLE and a piece of BLANK PAPER. 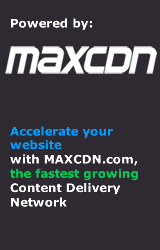 The N�cken will now ask you to collect a song for him from the �lvor. Walk down to the Forest Edge. Talk to the Nattramn sitting in the tree. It will mention that it's missing its right eye, which it needs to tell the future. Remove a piece of BARK from the Dead Tree. Attach the FISHING NET to the Old Well, then use it to climb down inside. Pick up the SHOVEL sticking out of the dirt at the lower left. Try to speak with the Brunnsgubbe. It doesn't seem like he can hear you, so you'll have to return later when you have something that can help you communicate. Leave the well and go back to the Lake Shore. From there, walk right to reach the Glade. Use the SHOVEL to dig up the Nettles blocking your path. Some of the NETTLES are added to your inventory. Speak with the Wingless �lva to offer to help find her some wings. Open your inventory and combine the CHARRED STICK with the BLANK PAPER to create the WRITING MATERIAL. Show the WRITING MATERIAL to the Wingless �lva. She'll use it to write down the NOTE SHEET. Search the Brambles in the lower right bushes to find some BLACKBERRIES and a THORNY BRANCH. Pick up the HOLLOW SHELL on the ground at the left side of the area, between the Earth and Water runes at the bottom of your screen. Go left to the Lake Shore. Combine the THORNY BRANCH with the BARK, then add the NOTE SHEET to make a BARK BOAT. Put the BARK BOAT into the lake water. Activate the Air Rune to summon a wind which will blow the boat to the N�cken. As a reward, the N�cken gives you a MUSSEL. Use the MUSSEL on the Iron Ring to crack it open, then take the PEARL from the smashed shell. Go down to the Forest Edge. Give the PEARL from the crushed mussel to the Nattramn. The Nattramn will tell your fortune and then leave you with some of its FEATHERS. Select the Earth rune to summon a snail, which leaves a trail of Snail Mucus at the side of the well. Use the FEATHERS on the Snail Mucus to make the WINGS. Climb into the Old Well. Give the Brunsgubbe the HOLLOW SHELL so that it can hear you. It will give you a MUDDY TABLET as a gift. Show the WINGS you created to the Wingless �lva. Go back to the Old Well in the forest. When you enter the scene, the Brunsgubbe will tell you that it is worried about the encroaching toadstools. Plant the NETTLES in front of the Brunsgubbe to ward off the toadstools. Leave the well and walk back to the Glade again. Walk towards the right side of the scene to rescue the �lva and transition to the next scene. Use the EMPTY BOTTLE from your inventory on the Cauldron to collect some of the SWEET BREW. Feed the SWEET BREW to the rear left Nestling. The bottle will be returned to your inventory, as well as some PUTRID HOGWEED that the Nestling spits up. Add the PUTRID HOGWEED to the Cauldron, which will change to green. Dip the EMPTY BOTTLE into the Cauldron to collect the ACIDIC BREW. Pour the ACIDIC BREW onto the Pole to break the rope tied to the small sack of ingredients. Activate the Air Rune to blow the sack into the Cauldron, creating a cloud of smoke to obscure the Hag's vision. Give the ACIDIC BREW to the front right Nestling. This Nestling spits up an OILY ONION. Put the OILY ONION in the Cauldron, then collect the resulting FLAMMABLE BREW with the bottle. Use the FLAMMABLE BREW on the Hag's exposed foot. Select the Fire Rune to light the brew on the Hag. Activate the Air Rune, and then pick up the TWIG that falls to the ground from the hole in the cave ceiling. Walk right and up to enter the Tunnel. Use the Earth Rune to reveal a hidden passage in the rock wall. Continue forward to reach the Large Chamber, then take the left path into the Abandoned Mine. When you enter the scene, the Svartalv will give you a little ROCK. Give the Svartalv your IRON COIN to receive its permission to use the Smelter. Take the Wooden Stick leaning against the wall at the far left side of the room to add the STURDY STAKE to your inventory. Search the small beds on the ground to find a STRINGLESS BOW. Activate the Earth Rune to loosen the PICKAXE from the right rock wall, then pick it up once it falls to the ground. Go back out to the Large Chamber and continue up the middle path to reach the Dried-Up River. Walk towards the back wall to receive a new note in the Journal: "Flowing water can be heard on the other side of the cave wall." Use the STURDY STAKE on the Large Boulder to push the boulder aside. Now that the path is unblocked, activate the Water Rune to summon the stream of water. Exit to the large chamber and continue through the right path into the Gruvfrun room. From there, walk up to the Blocked Passage. Use the Fire Rune, then observe the red Carvings on the wall. Three of the patterns on the wall will start to glow. Memorize these three symbols and the order in which they lit up. Examine the odd Stalagmite at the left side of the room. Select the Earth Rune to reveal the hiding V�tte. Speak with the V�tte to agree to take him past the Gruvfru and to his brothers. He'll enter your inventory as a STALAGMITE. Go back into the Gruvfrun room again, then continue down into the Large Chamber. From there, take the Tunnel to go back to the Mountain Entrance, then walk down one more time to reach the Strange Formation. Activate the Earth Rune to reveal the two V�ttar hiding as Strange Stalagmites. Place the STALAGMITE from your inventory next to the Tall V�tte to reunite the V�tte with his brothers. In thanks, the Fat V�tte will give you a FLUTE and a COPPER WIRE. Search the Floating Box at the top of the Water Filled Hole to find a ROTTEN APPLE. Return to the area that was the Dried-Up River (obviously the river's now flowing, but the name of the room remains the same). Walk towards the hole at the left side of the cave wall to find a Hedgehog. Speak with the Hedgehog to find that it seems hungry. Feed it the ROTTEN APPLE. Once the Hedgehog leaves, a few of its SPINES will be added to your inventory. Walk down and then right to enter the Gruvfrun room. Try to speak with the Gruvfru to overhear her worrying about her appearance. Open your inventory and combine the SPINES with the FLUTE to create a COMB. Use the COMB on the Gruvfru to brush her hair. Pick up the CLAMPS she drops to the ground. Go all the way back to the Mountain Entrance. Use the CLAMPS to pull the Glass Shard out of the Foot-Shaped Rock, adding the REFLECTIVE GLASS to your inventory. Add the REFLECTIVE GLASS to the TWIG to make a MIRROR. Return to the Gruvfrun room. Give the MIRROR you created to the Gruvfru. Now that she's been appeased, the Gruvfru will lower the spell she cast. Go back to the Abandoned Mine. With the Gruvfrun spell inactive, the silver node in the rock wall is now visible. The Svartalv in the room will be distracted by the revealed treasure, allowing you to examine the Locked Chest beside the Smelter. Click the Locked Chest to zoom in, then cycle through the three buttons on the lock to enter the correct combination. Select the glowing Carving symbols you saw on the cave wall at the Blocked Passage. The first symbol on the left is shaped like a horse, the second in the middle is shaped like a pea pod marked with several lines, and the last symbol on the right is shaped like a swirl with two dots. Once the correct solution is set, you will automatically receive SUPPLIES and a MUG from the opened chest. Return to the V�ttar brothers at the Strange Formation. Give the V�ttar your SUPPLIES to receive a SAWBLADE. Open your inventory and combine the SAWBLADE with the STRINGLESS BOW to create a SAW. Go back to the Mountain Entrance, then continue up into the Tunnel. Use the SAW to cut the large Root growing out of the left side of the cave wall. Dip the small ROCK from your inventory into the sticky sap at the center of the Root to make it an AMBER COATED ROCK. Walk up and then left to enter the Abandoned Mine. Give the AMBER COATED ROCK to the Svartalv. It will then give you permission to take some silver from the node. Use the PICKAXE on the Silver Vein to mine a chunk of SILVER ORE. Put the SILVER ORE into the smelter to melt the metal down. Combine the CLAMPS and the MUG in your inventory to create a DIPPER. Use the DIPPER to collect the puddle of Molten Silver at the bottom of the smelter. Pour the SILVER-FILLED DIPPER into the Cast to the left of the smelter. Take the completed SILVER BELL from the small platform. Exit the mine and return to the Blocked Passage. Cut away the VINES blocking the exit with the SAW. A couple of the ROOTS will also be added to your inventory. Go through the cleared passage to enter the Bergresen chamber. Ring the SILVER BELL to the Bergrese to wake it up. You start this chapter at the Mountain Shelf. Walk downward to reach the Burial Ground. Pick up the MOIST MOSS on the ground at the right side of the lower island. Use the MOIST MOSS to clean the MUDDY TABLET, making it a clean, ANCIENT TABLET. Put the ROOTS from your inventory into the marsh water to create a bridge to the right island. Activate the Air Rune to briefly see a figure hovering over the Decorated Grave. Place the DRIED FLOWERS on the Decorated Grave to reveal the Lyktgubbe. Speak with the Lyktgubbe to offer your help finding its five glowing friends. The Lyktgubbe will give you its EMPTY LANTERN to collect them with. Next, select the Water Rune to make a bridge to the left island. Approach the Bysen on the left island to wake it up. Try to speak with the Bysen to discover the wound on its head, which will also add a new note in your Journal. Walk down to the Mountain Shelf, then continue down the left stairway to go to the Ravine. "I am reborn amongst my siblings, together we are one. As I rise, I can see all of them look up at me in my new found form. I travel together with my brothers and sisters as I fall, crashing down with them on the roof of the world. I slowly make my way down as more of my siblings join me. It is close now. I am reborn." Go back to the Mountain Shelf and then go up the left path to the Stone Door. Talk to the Nattramn to hear more of your fortune. Examine the Stone Plates in the ground for a look at the puzzle. The goal of this puzzle is to position each stone tile next to its matching rune outside of the circle. Click one of the outer symbols to highlight it and to select its tile. Select the outer Air rune to move the Air tile, the Earth rune to move the Earth tile, etc. If you highlight one of the S-shaped runes, it will also select the two adjacent runes and move both their tiles simultaneously. The upper left S rune moves the Air and Water tiles. The upper right S rune moves the Air and Fire tiles. The lower left S rune moves the Water and Earth tiles. The lower right S rune moves the Earth and Fire tiles. While a tile is selected, click the clockwise or counter-clockwise arrows at the middle of the circle to move the tile in that direction. Press the "R" button at the center of the disc to reset the puzzle. Lastly, you must solve the puzzle in 4 moves. The glowing symbols at the upper left corner will count down how many moves you have remaining. Moving two tiles with the S rune only counts as 1 turn, so use that to your advantage! First, select the Fire Rune. Click the right arrow to rotate the Fire tile clockwise. Next, select the Earth Rune. Click the left arrow to rotate the Earth tile counter-clockwise. Finally, select the upper left S rune to highlight both the Air and Water runes. 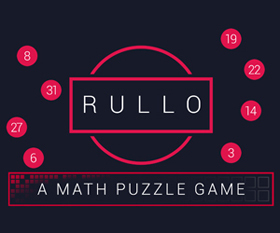 Click the left arrow twice to move the Air and Water tiles counter-clockwise two times and complete the puzzle. Once the puzzle is solved, the stone door will open, allowing you to enter the Ancient Chamber. Upon entering the room, you will receive SIGRYN'S CUP. Search the pile of bones at the left side of the chamber to find a ROPE. Take the SKULL from the Large Skeleton leaning against the right wall. Use the EMPTY LANTERN to capture the Irrbloss revealed above the Large Skeleton where the skull was. Place the ANCIENT TABLET into the Opening in the back cave wall to start the next puzzle. Press three tablets to highlight them in the correct order. Use the clues from the Vitorm's riddle to determine the tablets. The first tablet, Ocean, has already been lit for you. This corresponds to the first line of the poem, "I am reborn amongst my siblings, together we are one." The riddle refers to the stages of the water cycle. The ocean is the fist stage, when the water is "one". The next stage is described in the second line of the poem, "As I rise, I can see all of them look up at me in my new found form." This line refers to water rising as steam. Select the Steam Tablet by activating the Water Rune and the Fire Rune. The next line of the poem mentions the water falling down back to earth, which is rain. Select the Rain Tablet by activating the Water Rune and the Air Rune. The last line of the poem says "I slowly make my way down as more of my siblings join me. It is close now. I am reborn." This mean the water is flowing down together again to go back to the ocean, as depicted in the river tablet. Select the final River Tablet by activating the Water Rune and the Earth Rune, which will complete the puzzle. Once the puzzle is solved, a Mysterious Plant and another Irrbloss will appear at the center of the Altar. Use the LANTERN to collect the second Irrbloss. Gather some ITCHY POWDER from the Mysterious Plant. Go back down to the Ravine. Use the ITCHY POWDER on the Vitorm to reveal another Irrbloss. The MESMERIZING SKIN the Vitorm leaves behind will also be added to your inventory. Collect the third Irrbloss with your LANTERN. Go up to the Mountain Shelf. Activate the Earth Rune to summon Roots from the rocks. Tie the ROPE to the large Root below the right stairway. Climb down the Rope to go to the right side of the Ravine. Take the WEDGE and BEGUILING NECKLACE from the fragments of the Broken Wagon on the ground. Push over the Rotten Tree beside the Collapsed Ground to create a bridge between the two halves of the Ravine and to reveal another Irrbloss. Use the LANTERN to capture the fourth Irrbloss inside. Return to the Burial Ground. Collect the fifth and final Irrbloss with the LANTERN. Deliver the full LANTERN to the Lyktgubbe waiting beside the Decorated Grave. Search the Deer Totem at the left side of the path to find some SMELLING SALT. Follow the right road to go to the Campsite. Speak to the Ancient Tree to learn that it needs your help to keep from falling asleep. Wake the Ancient Tree with the SMELLING SALT. Next, feed it the BLACKBERRIES from your inventory. In return, the tree will offer to make an herbal mixture for you if you bring it the ingredients. Take the piece of MEAT hanging at the middle of the Meatrack. Collect the CLOTH CANVAS and the IRON BAR from the Collapsed Tent. Open your inventory and combine the IRON BAR with the COPPER WIRE to make a LIGHTNING ROD. Look inside the Small Tent to discover a COPPER BLADE (1/2). Rummage through the Fireplace to get a STEEL HORSESHOE. Examine the Earth Statue to the left of the tent covering the fireplace. Activate the Earth Rune to light up the matching rune at the bottom of the Earth Statue. Go back to the Forest Path, then continue left to reach the Cliff. Activate the Water Rune to illuminate the matching rune at the bottom of the Water Statue. If you walk towards the flower on the ground, a Draug arm will appear to block you from it. Attach the LIGHTNING ROD to the Wooden Post at the edge of the cliff. First use the Air Rune to create the sound of thunder and enable the Fire Rune. Next, select the Fire Rune to summon a bolt of lightning and zap the lightning rod, which electrutes the Draug. When the Draug leaves, its REFLECTING RING is automatically added to your inventory. Pick up the now exposed WHITE PLANT on the ground. Take the COPPER BLADE (2/2) on the left side of the cliff edge. Combine the two COPPER BLADES in your inventory to make a pair of SCISSORS. Grab a PIECE OF FLINT from the Strange Totem between the two paths. Cut off a piece of the Blooming Plant with the SCISSORS. Open the inventory and combine the BLOOMING PLANT with the WHITE PLANT to mix the HERBAL INGREDIENTS. Walk right to go to the Campsite. Give the HERBAL INGREDIENTS to the Ancient Tree. The tree will make the ingredients into a NUMBING SALVE for you. Add the NUMBING SALVE to the MEAT in your inventory to make it into SPIKED MEAT. Go left to reach the Guarded Passage. Activate the Air Rune to light the matching rune at the bottom of the Air Statue. Use the Earth Rune next, then take the TINDER at the top of the Anthill. Feed the Gloson the SPIKED MEAT to lower the thorns blocking the middle path that leads to the Copper Gate. Pick up the SPRUCE BRANCHES and the CHISEL from the ground. Note that the Fire Statue on the right has a broken base that's missing a piece around the rune. Activate the Water Rune to stop the rainfall. Now that the rain has stopped, you can take the Cracked Urn from the hole in the ground to receive an URN OF OIL. Open your inventory and combine the TINDER with the PIECE OF FLINT. Add the FLINT AND TINDER to the STEEL HORSESHOE to make a FIRE-STARTER set. Use the FIRE-STARTER with the Fireplace to start a fire. Heat the CHISEL over the Fireplace, making it a HOT CHISEL. Strike the Wooden Post with the HOT CHISEL to break off the CHAIN. Walk right to the Guarded Passage, then move to the right side of the scene. Place the SKULL, the MESMERIZING SKIN, and the SPRUCE BRANCHES on the Unfinished Totem. Walk out of the scene, then walk back in. When you return, the Shadowy Being that has been following you will be distracted by the glowing totem. Take the WITHERING PAGES and the STATUE PIECE from the Shadowy Being. Walk forward to the Copper Gate. Repair the broken Fire Statue with the STATUE PIECE from your inventory. Activate the final Fire Rune to light the completed Fire Statue. All four rune statues should now be lit, indicated by the glowing eyes at the top of the Copper Gate. The green eyes are lit by the Earth Statue at the Campsite. The red eyes are lit by the Fire Statue here at the Copper Gate. The white eyes are lit by the Air Statue at the Guarded Passage. The blue eyes are lit by the Water Statue at the Cliff. Add the CHAIN to the space under the white eyes on the Copper Gate. Lubricate the Lever to the left of the gate with the URN OF OIL. Now that everything has been prepared, pull the Lever to start the puzzle. When the Lever is pulled, listen to the sound made by each of the four faces on the copper gate. The goal of this puzzle is to arrange the chains so that each face makes the sound that matches its element, indicated by the color of its eyes. The position of the chain determines what sound and color the face above it will make when you pull the Lever. If the chain is down in the lowest 4th position with all the links showing, the face will make the sound of Fire and glow orange. If the chain is in the next highest 3rd position, it will make the sound of Earth and glow green. If the chain is in the next highest 2nd position, it will make the sound of Water and glow blue. If the chain is in the highest 1st position, it will make the sound of Air and glow white. The first face on the left, Earth, must have a chain in the 3rd position. The next face, Fire, must have a chain in the lowest 4th position. The third face, Air, must have a chain in the highest 1st position. The last face, Water, must have a chain in the 2nd position. First click the right chain under the blue Water face two times. Next, click the left chain under the green Earth face one time. Lastly, pull the Lever to complete the puzzle. Once the puzzle is solved, the creature will enter the cave past the opened Copper Gate. Activate the Earth Rune to break the Glass Sphere and drop the �lva into the hole in the ground. Each troll will claim a piece of the Glass Sphere for itself. Next, use the Water Rune to make the Fat-nosed Troll spit up some Bile. Collect the Bile on the floor with SIGRYN'S CUP, which will become a DEFILED SIGRYN'S CUP. Pick up the LEATHER STRAPS on the ground in front of the Fat-nosed Troll. Speak with the Slim-nosed Troll to learn that it wants something shiny. Give the BEGUILING NECKLACE from your inventory to the Slim-nosed Troll in exchange for the troll's BENT DAGGER. Talk to Bergakungen; a new note will be added to your Journal: "The largest being appears to crave ancient knowledge." Present the WITHERING PAGES to Bergakungen, who will reveal a passage in the middle of the floor. Climb down the hole to go into the Cave. Pour the DEFILED SIGRYN'S CUP over the mushrooms growing at the left side of the cave, under the Fat-nosed Troll's feet. Walk to the right side of the cave, then use the BENT DAGGER to pry the Vibrant Jewel from the rock wall, which will also bend the dagger back into shape and open a large Eye in the wall. Pick up the hot VIBRANT JEWEL with the CLOTH CANVAS. Use the DAGGER on Bergakungen's Tail to cut off a HAIR TUFT. Tie the HAIR TUFT with the LEATHER STRAPS to make a BRUSH. Use the BRUSH to dust off the Fossil on the right side of the cave wall, adding a small pile of SOIL to your inventory. Search the Fossil to find a BONE PIPE and three BONE SHARDS. Examine the Casket under Bergakungen's foot. It needs a key to open and to the left of the lock you'll see three markings: the first on the left is a medium line, the middle is a long line, and the last is a short line. Combine the BONE SHARDS with the BONE PIPE in the same order to make a key. First attach the medium-sized shard to the pipe, then add the long shard, and finally the short bone shard to complete the SKELETON KEY. Unlock the Casket with the SKELETON KEY, then take the LOCKED TOME inside. Insert the VIBRANT JEWEL into the LOCKED TOME to complete the ANCIENT TOME. Place the REFLECTING RING on top of the stalagmite to reflect the light from the Eye to the Slim-nosed Troll. Go back up to the Cavern. When you enter the scene, you will automatically receive the ORB PIECE (1/3) from the poisoned Fat-nosed Troll. Take the second ORB PIECE (2/3) on the ground in front of the blinded Slim-nosed Troll. Give the ANCIENT TOME to Bergakungen to receive his ORB PIECE (3/3). Combine all three ORB PIECES to repair the glass ORB. Examine the four altars along the bottom of the scene. The first altar on the left says: "On a throne of eight, the Golden Wheel governs the day." The next altar says "As equals two walk beside one another in light, five acknowledge their place." The third says: "Six remain shrouded, inhabiting the moonless night." The fourth altar on the right says: "Lowliest of all remains the earth dweller, ambitions stifled by the Wheel's light." Climb down into the Cave again. Examine the Altar at the center of the chamber to start the puzzle. Use the clues from the altar to arrange the tiles in the correct order. The "Golden Wheel" that "governs the day" indicates that the yellow sun tile belongs at the top of the puzzle. Below that, "equals two walk beside one another in light," meaning that the two green human tiles both go in the next row. The "five" that "acknowledge their place" are the five white tiles, which can go in the middle row and the row below that in no particular order. Lastly, the "earth dweller" is the "lowliest of all". The purple tile with the drawing of the troll must be positioned at the bottom of the puzzle. First click the right tile in the middle row twice. Then click the tile at the top once. Finally, click the tile at the bottom twice to complete the puzzle. Once the puzzle is solved, an �sksten will appear above the Altar. Place the ORB over the �sksten. Wait for the glow of the �lv to appear in the left hole. Quickly use the SOIL to fill the small hole on the right and the hole in the middle of the ground. With her other paths blocked, the �lv will find her way out of the hole and into the Cave. Activate the Fire Rune to light the altar, then use the Air Rune to lift the �sksten upwards. Follow the �sksten up to the Cavern.